KUALA TERENGGANU: The Pakatan Harapan government is expected to deliver on promises that it made in the 14th General Election in six months, says Council of Eminent Persons chairman Tun Daim Zainuddin. He said he expected the people to return to supporting the government once it delivered on its promises, especially by paying more attention to the economy. There are items which can proceed speedily, and there are issues that needtime and there are matters that touch on the security of the nation. “The Rantau by-election showed the people’s concerns about the economy,” he said at Bicara Darul Iman, the first series of a discourse programme for guests and senior government officers with the country’s influential figures. Daim said the government was looking at reports on housing and toll abolition. When the time was right, he said, Prime Minister Tun Dr Mahathir Mohamad would make announcements. 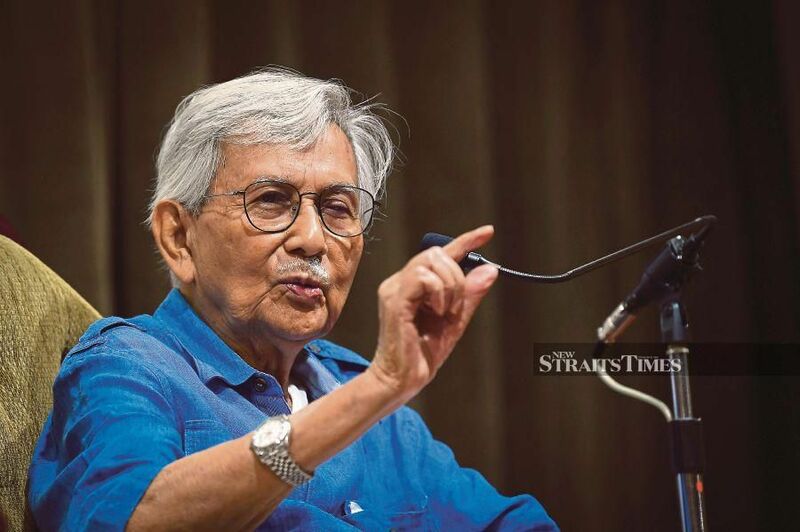 Earlier, Daim touched on the Bumiputera economy and asked the audience to question why Terengganu and Kelantan, with their huge Malay majorities, were still left behind economically. “And yet in Kuala Lumpur, people from Terengganu and Kelantan are doing extremely well. “The chairman of Petronas is from Terengganu, as is the CEO of TNB. “Tun Salleh Abas, Lord President of the Supreme Court, was from Besut. “The late Tan Sri Yahaya Ahmad, founder, chairman and CEO of DRB-Hicom was from Marang. “Tan Sri Halim Mazmin, the chairman of Matrade, grew up in Kuala Terengganu. “Kelantan also boasts many successful personalities. This goes to show that when push comes to shove, and if they have to compete, the Malays from these states are able to rise to the challenge and compete. “So far, many Malays are left behind economically because traditionally we were pigeonholed into being farmers and fishermen. “And, to this day, many are dependent on government subsidies to survive. This must change. “There is nothing wrong with being a fisherman, but we must look to the developed nations to see how we can make it a profitable and sustainable sector. “For instance, look at European and Japanese fishermen. “In Norway, the fishing industry is second only to the oil and gas industry. “The Japanese commercial fishing industry is worth US$14 billion (RM57.6 billion). “Right here in Terengganu, you have Fakaruddin Kadir from Besut, who is a self-made millionaire from his own fish-farming business. He is only 40-years-old. “Likewise, there is nothing wrong with being a farmer. But, we should work with our natural resources and see what works in our soil and climate, instead of working against nature. “Use the latest research and new technologies to make farming more efficient and profitable. “For example, many Malays still plant padi, which we know is heavily subsidised, even in other nations, including Taiwan. This is not sustainable. “Make yourself part of the Bumiputera economy. Make your success and your long-term growth and development part of the Bumiputera economy. “Make your children’s education part of the Bumiputera agenda. “Make them proud to be able to stand on their own two feet because that is what the Bumiputera agenda should be all about. “Tell yourselves, from now on, you want to change the Bumiputera agenda. “You will participate. You will make the difference, and you will ensure that you all will succeed. “Words alone are no good. Take action and show results,” he added.